"I was lucky: My father was a bookkeeper who never made more than $6,000 a year. 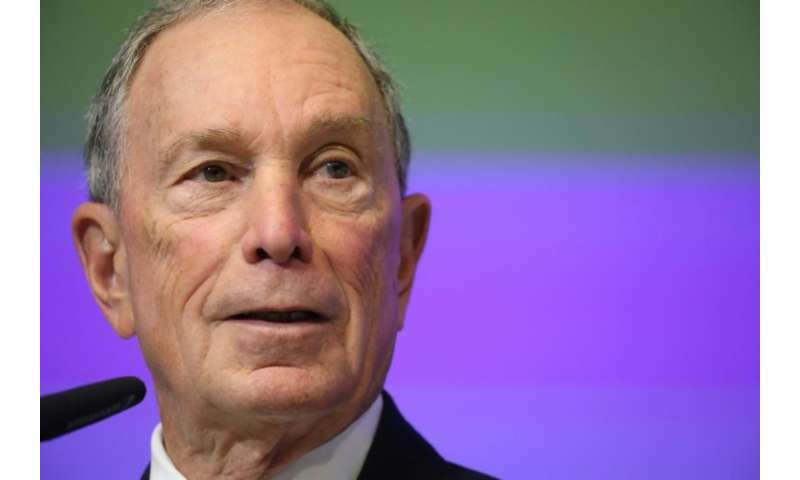 But I was able to afford Johns Hopkins University through a National Defense student loan and by holding down a job on campus," Bloomberg, who also founded the financial news service of the same name, wrote in a New York Times op-ed. The donation, believed to be the biggest ever to a university, "will ensure that we are able to recruit more first-generation and low-income students and provide them with full access to every dimension of the Johns Hopkins experience," its head Ronald Daniels said. For Sandy Baum, a university professor at the Urban Institute, Bloomberg's gift is "great" but "that's just a drop in the ocean." Most students' loans, she says, amount to between $15,000 and $20,000 but getting $40,000 in debt is not unusual for a bachelor's degree (four years of study). They no longer have access to credit, cannot rent a home or buy a car. A local cable channel this summer launched a game, "Paid Off," in which the participants battle it out to see who has their student debt cleared. The problem worries everyone—even the US central bank. "As student loans continue to grow and become larger and larger, then it absolutely could hold back growth," Jerome Powell warned in March. Joanna Darcus, a lawyer for the consumer protection organization NCLC, welcomed Bloomberg's big donation. It's needed in our "completely broken system of financing university education by debt," she said. For students from low-income backgrounds "it is very important to lower the cost of education" as student debt increases the gap between rich and poor, she told AFP. "If its possible for people to go to school without incurring debt we are all better off; we don't have to spend money on debt collection and student debt doesn't impair the decision-making on a personal, professional or financial level," she added.